What Is the Unit for Enthalpy? Extrusion is a production process that uses a screw to force material through a pressurized system. To calculate the throughput of an extrusion system you must know a number of values related to the system pressure, the dimensions of the extruder and the properties of the material that you are extruding. Extrusion throughput is calculated by subtracting the volumetric pressure flow of the system from the system's volumetric drag flow. Determine the values for variables that are required to calculate extrusion throughput. 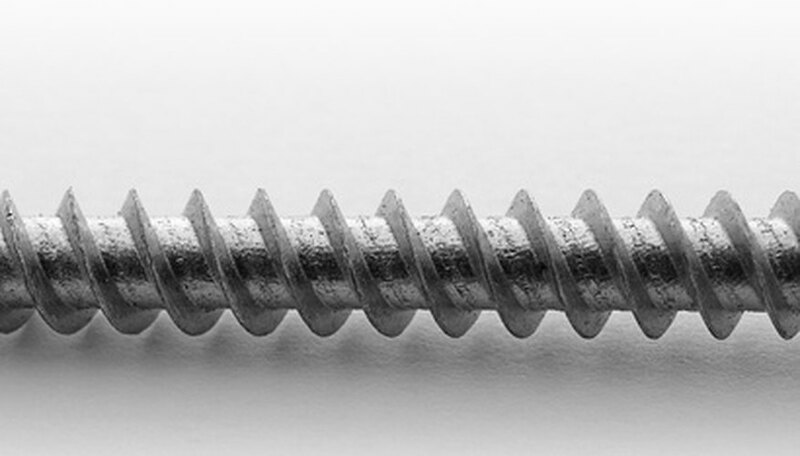 You'll need to know the diameter of the extrusion screw, the screw speed as measured in revolutions per minute, the angle of the screw's helix and the height and width of the screw's channel. 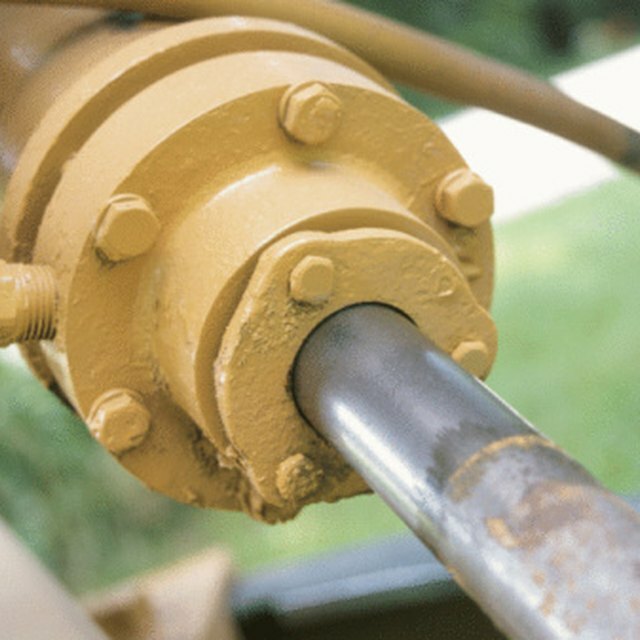 You'll also need to know the change in system pressure in pounds per square inch, the viscosity of your material and the length of the entire extrusion channel. See link below for a visual representation of each of these measurements. Determine the Power Law Index for the substance that you are using. If you don't know the Power Law Index for a plastic polymer, you can refer to Table 4.2 on Page 46 of Giles, Wagner, and Mount's book, "Extrusion, the Definitive Processing Guide and Handbook." Calculate the system's Newtonian volumetric drag flow. Multiply together the following variables: channel width, channel depth, screw speed, screw diameter and the cosine of the helix angle. Multiply that result by the mathematical constant pi (approximately 3.14) and divide that result by two. This equation provides an estimate of volumetric drag flow for a Newtonian fluid in your extrusion system. Correct the Newtonian volumetric drag flow for the new-Newtonian nature of your substance. Add four to your polymer's Power Law Index, and divide the resulting value by five. Multiply this result by the estimated volumetric drag flow that you already calculated. The result is the true volumetric drag flow for your extrusion system. Calculate the Newtonian pressure flow for your system. Cube the height of your extrusion channel, and multiply that result by the sine of the helix angle, the width of the channel and the change in system pressure during extrusion. Divide the resulting value by the viscosity of the plastic, the length of the entire extrusion system and the constant 12. The resulting value is the Newtonian estimate of system pressure flow. Correct the Newtonian pressure flow to account for the non-Newtonian nature of your polymer. Multiply your polymer's Power Law Index by two and then add one to yield the denominator for the equation. Next multiply the Newtonian pressure flow estimation by three, and then divide that result by the denominator that you just calculated. Doing so will yield the true volumetric pressure flow for your system. Subtract your system's volumetric pressure flow from its volumetric drag flow. The result is the extrusion throughput for your system, measured in inches cubed per second. Howard, Dan. "How to Calculate Extruder Throughput." Sciencing, https://sciencing.com/how-7766939-calculate-extruder-throughput.html. 07 August 2017.